European business banking problems. 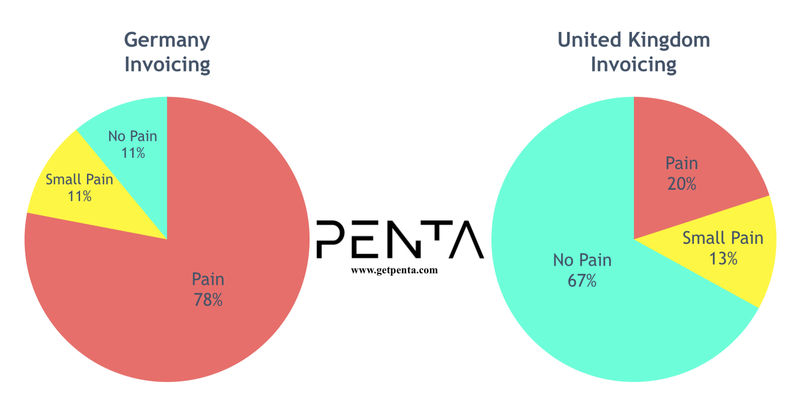 Our team at Penta did research in business banking in Europe to find out what pains European business’ had with their banking. We sat down with 100 European businesses based in the UK and Germany face to face for 45 minutes each to find out. We wanted to figure out what bothers businesses with their banking. Was it the branches? Opening a bank account? The paperwork? How about sending money domestically or abroad? Accounting? Loans? Invoicing? Corporate governance? Costs? Cash-flow analysis? What was the real problem? Here are our results in our research. A gift for the fintech and European business banking community building products for European businesses below 30 employees. Hope it helps others as much as it has helped us. I’ll start with a breakdown of how we organized the questions. Don’t care? Skip to the results. However, I’d recommend understanding how we got to these results in the first place. Maybe we’re wrong. Correct us in the comments. In our European business banking research study, we interviewed CEOs, CFOs or employees that do the business banking in Europe. 50 were in the UK and 50 were in Germany. The businesses were mainly high-tech companies (startups), 3–30 employees below 2M in revenue. Surprisingly, our results didn’t drastically change if the company wasn’t high-tech. It changed if the founders weren’t. Our goal was to keep the questions unbiased and scientifically designed to give us the most objective answers possible. We sat down and made 10 hypotheses and dozens of sub questions about business banking that we wanted to validate or disprove based on our previous experiences. We did not tell the interviewee our hypotheses. Instead we asked open questions about their past experiences and behaviours. None of the questions led to a “yes or no” answer. Instead, the questions allowed the interviewee to tell us about how they used the banking products and how they felt in the process of it. I’ve left examples of the questions below. We refused to tell the interviewee what problems our company is trying to solve before or during the interview. We wanted them to be unbiased and honest. We went to seven co-working spaces asking people (who do the banking) if they had time to answer a few questions. We also tapped into our network to find people willing to help. During the interview we took notes and wrote quotes. After the interview we rated the hypotheses in order to disprove or validate the hypotheses. Based on the answers, we rated each hypotheses as: “Pain”, “Little Pain” or “No Pain”. All quotes are real and taken directly from the interview anonymously. Here’s an overview of the questions we asked. For the purpose of this article, we have rephrased the questions. Is opening a business bank account in Europe a pain?Are legacy bank interfaces hard to use? Do European businesses want a faster way to send/receive money? Do European businesses find receiving and dealing with banking paperwork painful? Do European businesses/startups want loans? Managing expenses and allocating budgets is difficult and time consuming. Would business owners want to give out MasterCards to their employees if it were easy and safe to do? How do businesses feel about doing their accounting manually? Sending money abroad can cost anywhere between 1–4% of the total transaction. Do business owners know that? If so, why don’t they find an alternative? Do businesses find it tedious to manually write up invoices? How do business owners and key employees feel about banking fees? IS OPENING A BUSINESS BANK ACCOUNT A PAIN? There’s no doubt how time consuming it can be. But how big of a problem is it really? Here are our findings. 56% of Eropean businesses found opening a business bank account a pain. 11% thought it was a small problem. 33% didn’t find opening a European business bank account a pain. 7% found it a small pain. 43% didn’t find opening a business bank account a pain. If you have a personal account in a bank, opening a business bank account can be quick; in a matter of hours or in a few days you can have a business bank account. However, when you can’t open a business bank account, it’s a massive pain because you can’t trade. Overall, opening a bank account is a much bigger problem in the UK for businesses. In Germany, bank account opening takes a few days up to two weeks while in the UK it can take on average six weeks according to various studies. ARE LEGACY BANK INTERFACES HARD TO USE? Legacy bank interfaces are notoriously ugly and hard to use. However, are they that bad that businesses have trouble using them? 20% didn’t think it is the easiest interface to use, but rather just accepted it. 0% thought it was acceptable. 25% found navigating the user interface a pain. 25% thought the interface was confusing, but were used to it. 50% didn’t mind it at all. Barclays was especially complimented here. Overall, UK business bank account interfaces are better and easier to use. However, Germany is in a bit of a design crisis… Here’s your chance PSD2fintech startups! DO BUSINESSES WANT A FASTER WAY TO SEND/RECEIVE MONEY? Note: For UK readers, German banks don’t have an equivalent of the Faster Payments Scheme as in the UK. Payments can take up to 72 hours to arrive to the recipient in Germany. 30% thought sending or receiving money is too slow. 30% wished it were faster but were fine with waiting. 40% have absolutely no problem waiting up to 72 hours to receive money. 0% thought sending money was slow. Because it’s not! It’s (almost) instant..
100% considered it fast and immediate. Most UK businesses were actually confused that we asked this question! Come on Germany, wake up! DO BUSINESS OWNERS FIND RECEIVING AND DEALING WITH BANKING PAPERWORK TEDIOUS? Most would think that nobody is a fan of receiving paper mail, or having to sign documents at the request of the bank a few times a year. We were surprised to find the following results. 30% don’t think it was tragic. They’ve accepted it even though it is tedious to use at times. 50% felt the same way as the Germans. 6% don’t find it helpful, but are reluctant (or lazy or didn’t know how) to opt-out of receiving paper based communication. 44% thought it’s helpful for organizing things. Strange considering most of what they do is all in the cloud! Overall, high-tech companies are not big fans of paper. But there are startups that don’t mind and even enjoy paper based communication. Even if they’re high-tech. What would startups prefer: giving away equity or being in debt? In contrast to the other hypotheses, this question aimed to validate whether high-tech businesses/startups would be interested in taking a loan (factoring, line of credit, overdraft, etc.) For the purpose of this article, we have simplified the result. 11% would be keen on taking a loan, have applied for a loan, or are currently operating off of a loan. 22% were undecided whether they would take out a loan. This group was also not educated enough about loans and were keen to learn more if loans are a viable option for their business. 67% were not interested in loans. Instead they are boot-strapped or equity financed. 33% were interested in taking a loan or currently have taken out a business loan. 7% didn’t know much about taking out loans. Therefore they haven’t considered it but were open to assessing if it’s a viable option for their business. 60% were not interested in loans and were running on equity financing. High-tech companies were not too enthusiastic about taking out loans. They prefered equity financing. Not a big surprise. However, some were open to the option if they were more educated on how to take out a loan, the process and ultimately the speed of getting cash in the bank. DO BUSINESS OWNERS WANT TO GIVE OUT MASTERCARDS TO THEIR EMPLOYEES? The results of this hypothesis strongly depended on the size of the company. In our findings, companies above 6 employees started to face this problem. 40% found expense management a nightmare and wanted an alternative. Surprisingly, they didn’t know of any alternatives. 60% didn’t have a problem with managing expenses within the team. 0% needed or noticed a problem with this in their respective company. 25% see the problem, feel it, but aren’t willing to make a big effort to fix it. Meaning they aren’t suffering that much. However, according to the companies interviewed an opportunity could arise for these businesses if they were offered to try it. 75% haven’t ever thought about it before our interview and weren’t willing to think about it any further. This was one of the more complex questions (therefore, harder to elaborate on in this article) as it dealt with: what’s the company’s employee setup? Is everyone a programmer except the CEO who’s running around selling software to business clients? 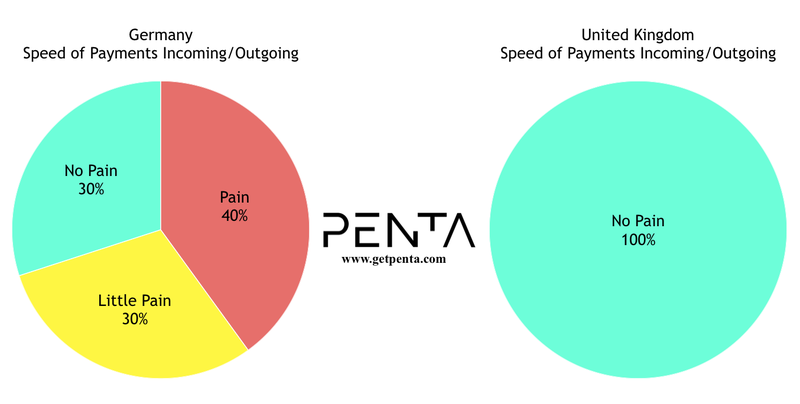 If you’re interested to learn more, please email me at luka@getpenta.com and I can elaborate on this finding. HOW DO BUSINESSES FEEL ABOUT DOING THEIR ACCOUNTING MANUALLY? Based on our research, accounting was the biggest problem businesses faced with their business banking, as well as the most time consuming. Lastly, accounting tools are prevalent in the UK but are not as popular in Germany. There isn’t a dominant Xero in Germany. But there a few players gaining traction. 10% had little accounting related business to do, so they didn’t mind it. These were mainly non-high-tech companies or high-tech businesses that were less than 1 old. 0% didn’t find accounting a problem. 88% had the same reaction as the Germans. “Why is everything around me so high-tech while my accounting is the same as when my grandparents did it?”. 12% found accounting a pain, but were reluctant to look for alternatives as the amount of accounting was so small that it wasn’t worth paying for a tool. From our research, a surprisingly small percentage of the businesses we interviewed used tools like Xero, Smacc, Sage or Geniac in both countries. However, even if they did, the tools lacked real-time synchronization with their bank account, so they still weren’t fully satisfied, which made them have to manually add information into their accounting software. We included this small majority in the small pain percentage. SENDING MONEY ABROAD CAN COST ANYWHERE BETWEEN 1–4% OF THE TOTAL TRANSACTION. DO BUSINESS OWNERS KNOW THAT? IF SO, WHY DON’T THEY FIND AN ALTERNATIVE? Sending money abroad can be extremely expensive. Especially if you’re sending large amounts in foreign currencies. We wanted to know if business owners were aware of the high costs and if they found sending or reconciliation difficult when doing business abroad. 30% didn’t find it a problem as they only did business in Euros. 64% were aggravated with how much it cost them to receive or send the money. 14% had problems with the fees that they were paying and how long it took to receive the money. However, the pains faced were rare as the business rarely did business in foreign currencies and with foreign businesses. 21% didn’t do business abroad, and if they did the amounts were small and they didn’t mind paying the FX or transfer fees. Most of this group also didn’t know how much they were paying in fees nor did they care. DO BUSINESSES FIND IT TEDIOUS TO MANUALLY WRITE UP INVOICES? Manually writing invoices is tedious. Especially as you’re growing and scaling. Automating it can be the solution. But do all high-tech businesses feel that way? Please note: This includes businesses that already use a similar tool with an accounting software. 78% were deeply distraught with how they currently do their invoicing. 11% found it a small pain that they were not willing to seek a solution for. 11% did not find doing their invoices manually a problem. 20% of businesses found invoicing a pain and are looking for an alternative. 13% saw and felt the problem of doing invoicing manually as they’re scaling. However, they thought of it as a minor problem as their outbound invoice volume was low. In conclusion, Germany had a much bigger problem with automating and managing the invoicing process when scaling. HOW DO BUSINESS OWNERS AND KEY EMPLOYEES FEEL ABOUT BANKING FEES? Being charged a hidden fee can leave a negative perception of your bank. But did people have problems with this? Was it even happening? Was transparency important to them? Were they being charged for products that they didn’t even use? Were they being overcharged for everything they use? 25% were dissatisfied with the way they were being charged. Especially for hidden fees or sending money abroad which could be 1–4% of the total transaction. The Germans were more angry with their bank’s lack of transparency when being charged for banking services. 38% saw it as a problem, but didn’t put too much effort into stressing about it as the amounts charged were small. 43% felt that banks were charging them significant amounts and that they couldn’t do anything about it. Most were deeply dissatisfied. 0% were indifferent. All the British felt strongly about banking fees — one way or another! Most of the people interviewed did not know how much they were being charged. They were only able to estimate it. A question for fintech startups and incumbent players. Is the solution to build a better KYC solution, cheaper FX and international transfers and other tools bit by bit on our own in-house? Or should we all partner with each other (accounting tools, fintech startups and legacy banks) to always be able to offer the most optimal financial and business solution? One company for a great KYC solution. Another for FX and factoring. What does the latter mean though? Does partnering mean that we should cannibalize our existing products? Our whole business model? For new entrants and fintech players, there isn’t much cannibalization to be done. For the incumbents, it’s a different story. Let’s face it. We all have the same goal. We want to make people’s lives easier. Which turns into higher customer service satisfaction, higher retention rates and loyalty as well as evangelism and everything that comes with that. But how do we achieve that? In order for us to solve the above problems, we need to partner with each other. So that we could always offer the most optimal solution to customers. We believe in parterning with third party developers and companies to build great tools in order to solve the above problems. We believe in cannibalization. We also don’t believe in building things in the dark. That’s why we’re asking startups like you to help us and to join our enthusiastic community of PentUps to give us feedback on everything we do. From designs, to the UX and the overall feel. Want to be a part of it? 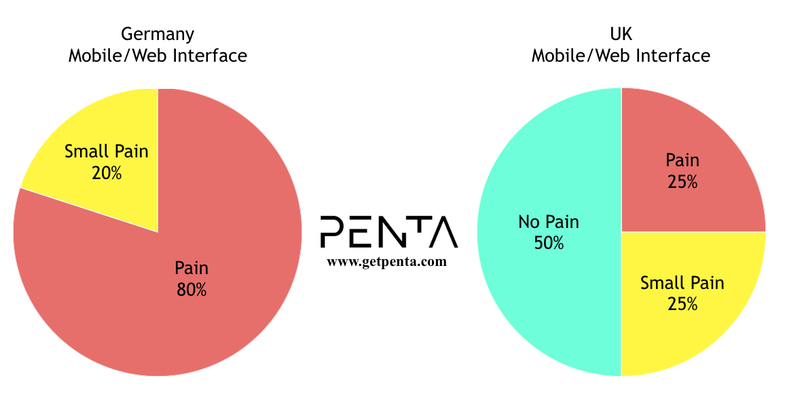 Subscribe for our beta at www.getpenta.com. 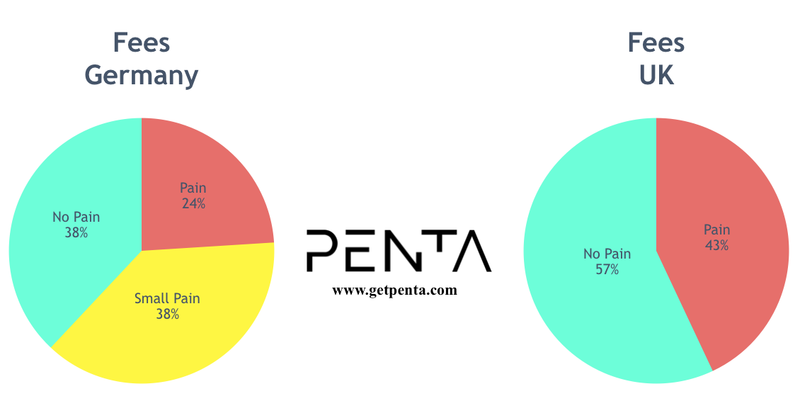 2019 Penta Fintech Ltd. All Rights Reserved.